It’s taking longer to work on this squad and get it finished than I’d like. I was hoping to have it done before the weekend, as I’m going to be busy most of the weekend. I’m not sure that is going to pan out. More work done on the squad, with the various trims and other details on the model painted. Some washes have been started. So far, I think things are going well for this squad. I usually try to follow an assembly line approach to painting squad-sized units, but that didn’t happen here (again!). 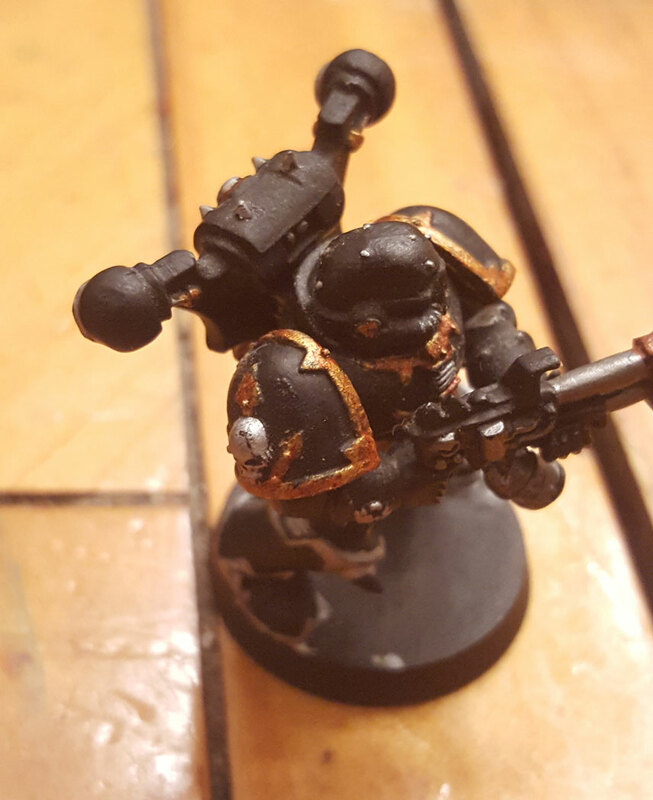 Once I started work on the powerfist champion, I have to do more. I broke my rule on doing assembly line with the squad again. I just had to work on the details of this model some. One of the things I’m doing with this model, is I’m going a bit old-school. I’m using inks to do some of the washes. In this case, I’m using Chestnut Ink, diluted with water, on the model’s gold trim. 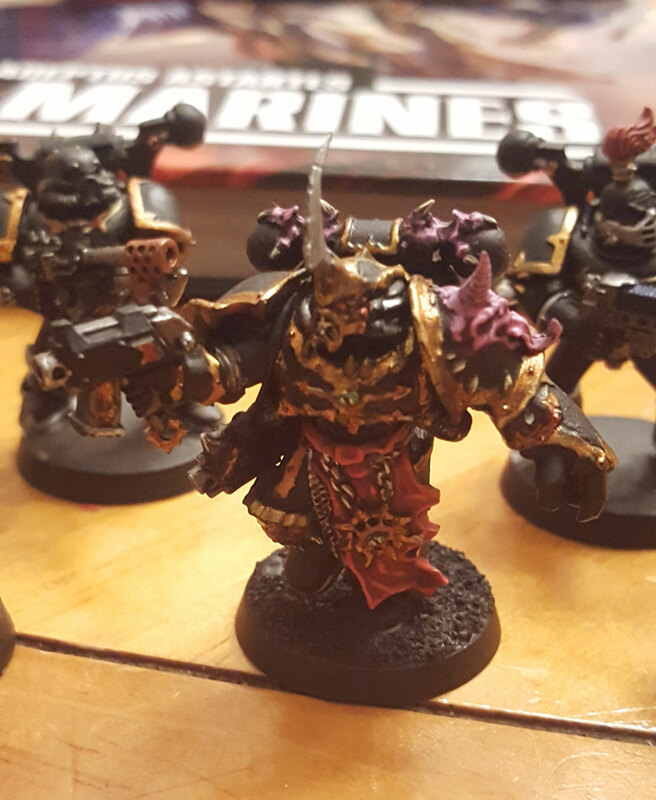 It gives the gold this nice red luster, which fits for a warband as blood-soaked as the Black Legion. You can see the effect here a little bit. I’m using an old pot of Chestnut Ink to do a wash on the gold. It gives off a very cool red luster. I’m still using Nuln Oil on the things I painted with Chainmail or Boltgun Metal. I can’t wait to start working on highlights. Got the updated supplement. And I’m liking it so far. 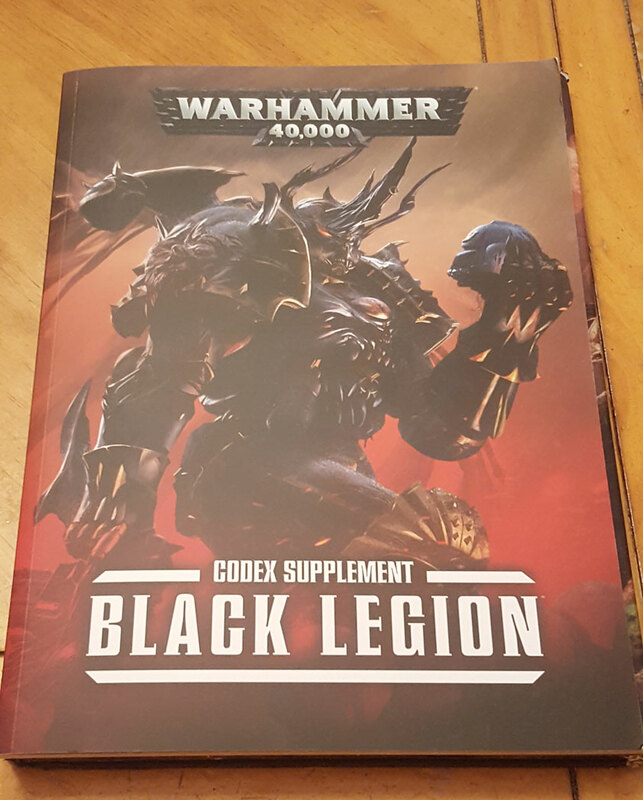 And I got the newly revised Black Legion supplement this weekend. I’ve started reading through it. Much looks the same, but they did add some things. 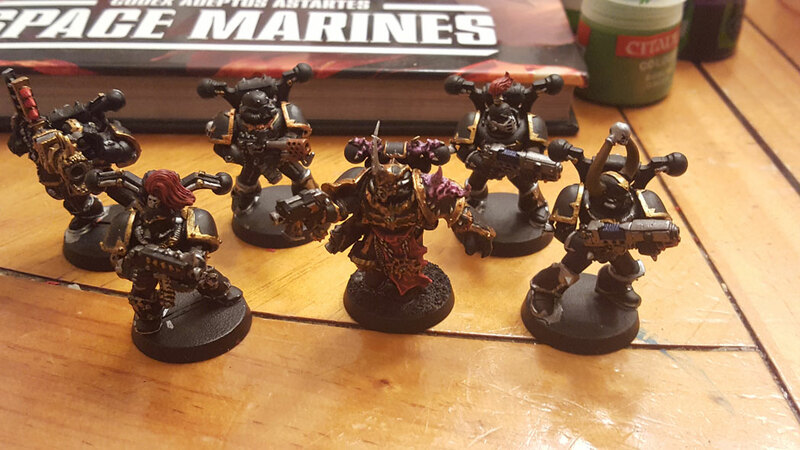 If you haven’t heard, they added several new formations to the book for Black Legion lists. They also added some tactical objectives unique to Black Legion. So I wonder if new data cards are in the offing? One can only hope. “The true power is here!” – Sorcerer complete! Enter your email address to subscribe to The Chainsword Surprise and receive notifications of new posts by email. Second squad of Plague Marines is completed!